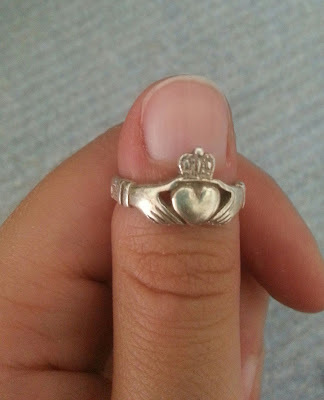 The other day I was looking through my jewelry box and found my claddagh ring. A claddagh is an Irish wedding band. I wanted to start wearing it again, but it was so unbelievably tarnished from being stored away for so many years. I remembered my mother telling me about a way to clean silver easily, with absolutely no scrubbing, and using just a few simple ingredients. I was a bit skeptical, so I had to try it for myself. The result was outstanding. I could hardly believe my eyes. The ring turned out sparkling clean! Here's how I did it. Try it for yourself! Fill a pot with a few inches of water. Bring the water to a boil. Add the foil balls and the baking soda. 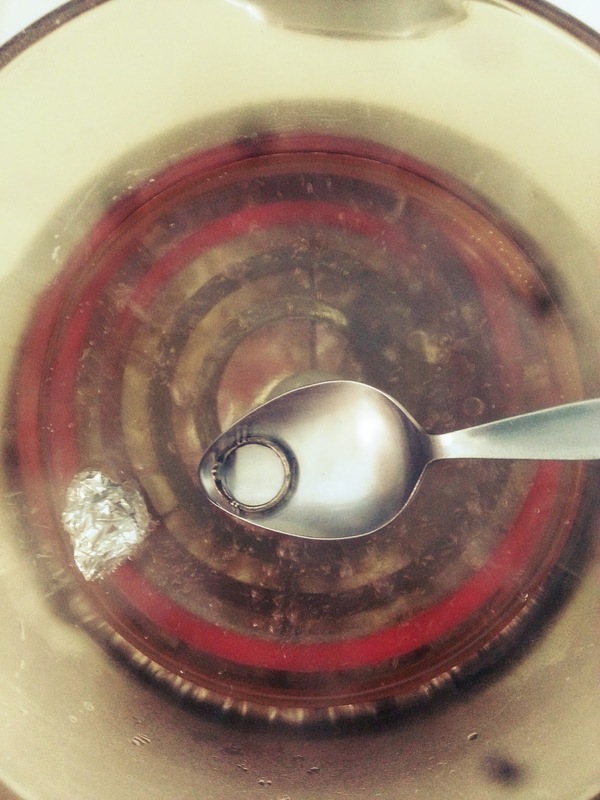 With your spoon or tongs, lower the jewelry into the boiling water and swish it around. Check the jewelry every few seconds to see if the tarnish has lifted. Mine took around 2 or 3 minutes to remove all of the tarnish. I kept checking frequently to make sure my ring was still okay. 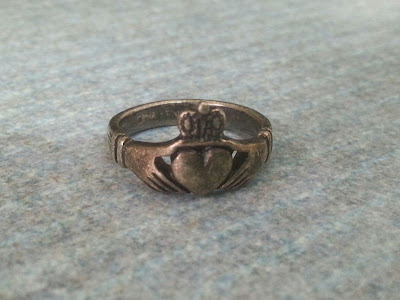 Each time I checked on the ring, more and more of the tarnish was being washed away. I believe it's actually a chemical reaction between the baking soda, aluminum foil, and the jewelry that removes the tarnish. It works like magic. 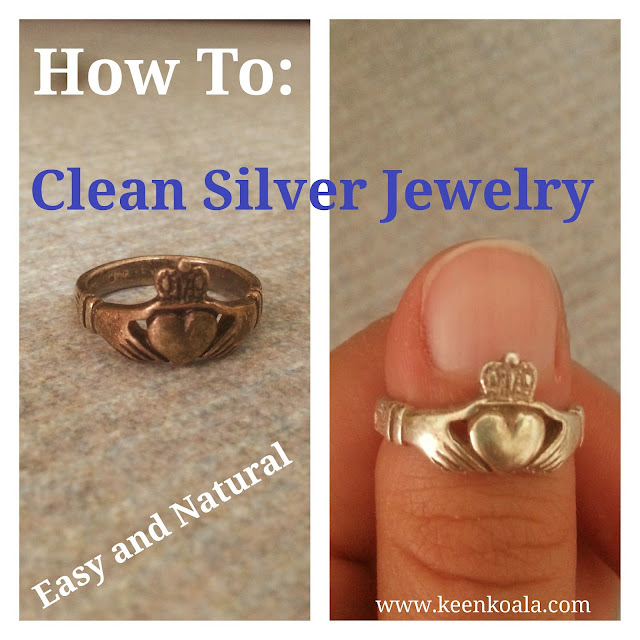 Check out my sparkling clean ring below! Have you ever tried this trick to clean your jewelry? How did it work for you? Or, do you have another great tip for cleaning silver? Feel free to leave a comment. I would love to hear from you!